"Subscribe to RSS" is a common invitation on many sites. In this article, we will tell, What is RSS and how to use it. RSS (stands for Really Simple Indication) - is a technology, allows you to broadcast a variety of materials from websites. This system enables the user to quickly and without much fuss to learn about new articles and reports on the interests of its sites, without opening them. RSS can be created on almost any site. To do this, the RSS feed should be adjusted. RSS-channel (tape, flow) - a collection of materials from the site, which can be viewed through a special program. Technically, it is a special file in XML format. RSS-feed is updated regularly and contains a brief description of the materials published on the website. To use RSS-feeds, You need to subscribe. Many resources can just press a button. As soon as a new article or comment appears on the site, they instantly fall in RSS-feed, and information about them is immediately made available to subscribed users. 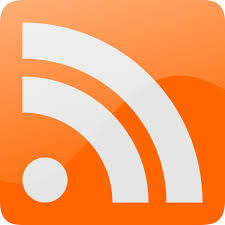 RSS-feeds can be viewed through special programs, which are called RSS-aggregators. Is the name given to the program, which represent the RSS format in user-friendly form. Allow aggregators to receive updates from dozens of sites in real-time simultaneously. This gives the opportunity to choose a new and interesting materials from all sites, without spending the time to visit each of them. for example, you can find out the latest news as soon as they are published, track new posts, pictures, User comments on the blogs and websites of interest. To do this, set the RSS-aggregator and subscribe to RSS. Besides, RSS-feeds can be read on mobile devices: smartphones, PDA, tablets, etc.. A special program must be installed for this to gadget also. You can also view the RSS-feed and web browser. To do this, click on the RSS icon on the website of interest. Then you need to select the "subscribe"